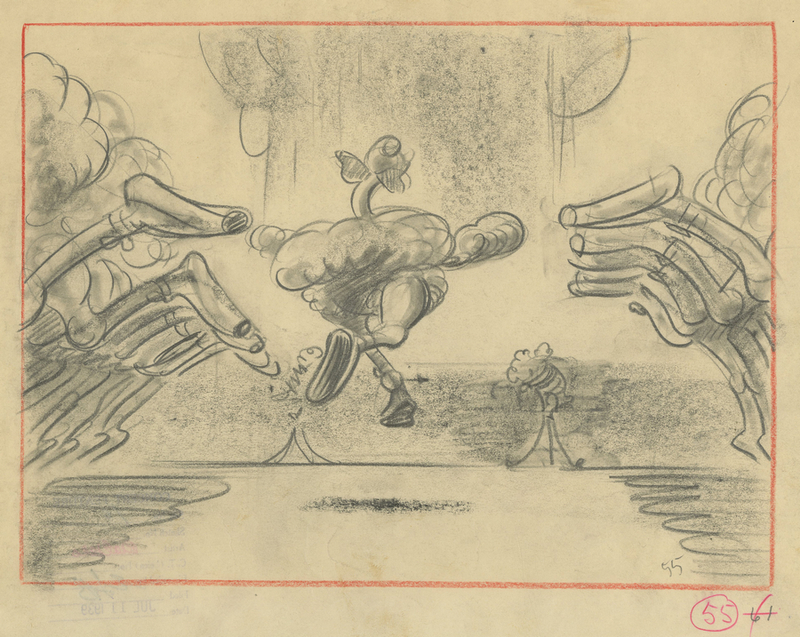 This is an original storyboard drawing from the Walt Disney Studios production of Fantasia (1940). 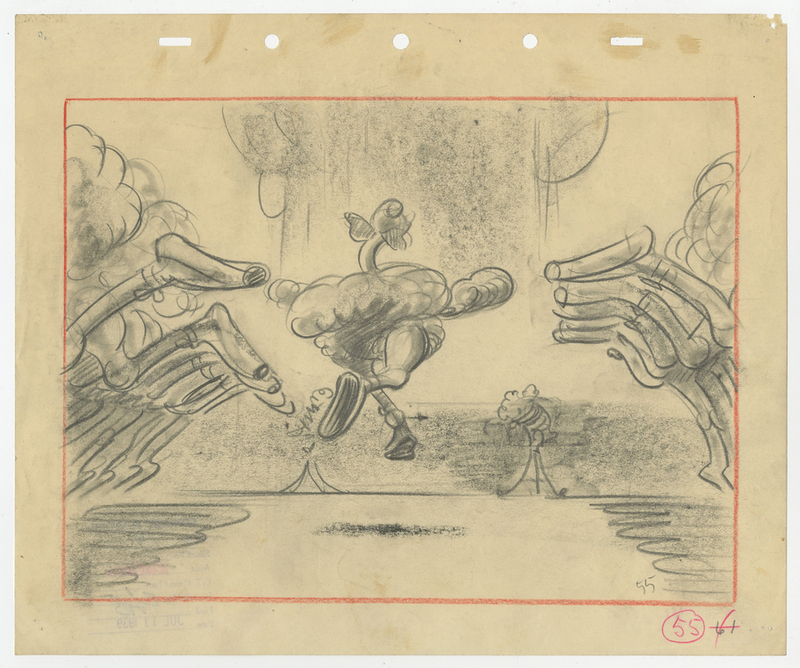 This wonderfully detailed drawing features the ostrich ballerinas as they balet dance, and was created at the studio and used during the production of the Dance of the Hours segment of the film. This drawing was created by Disney artist and animator, James Bodrero. 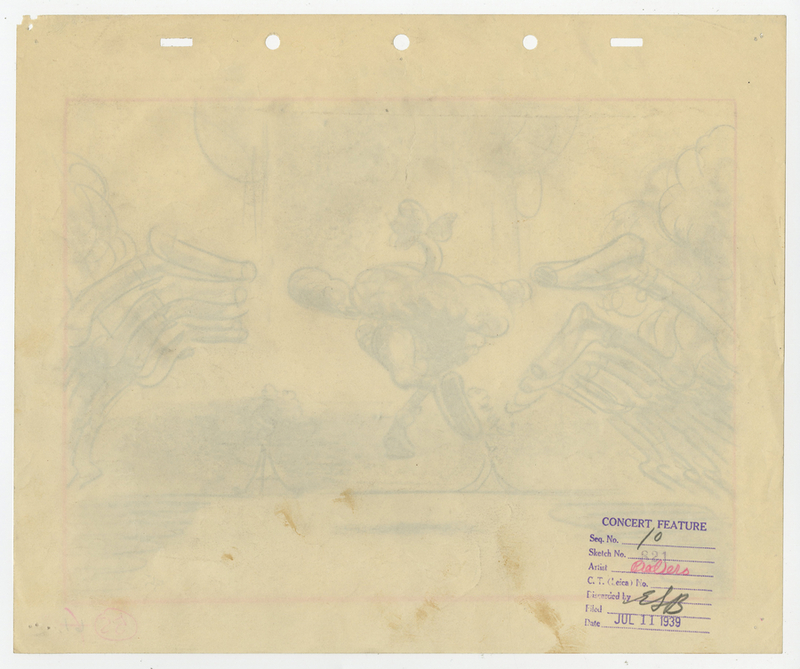 The overall measurements of the piece are 10" x 12" and the image itself measures 7.5" x 10.5".The drawign is in excellent condition with minimal edge wear and discoloration, mostly in the margins and edges of the paper.